Financier Bill Browder, a high-profile critic of Russian President Vladimir Putin, was briefly arrested in Spain today (Wednesday) on a Russian arrest warrant. After an hour in custody he was released because the warrant was no longer valid, Spanish police said. 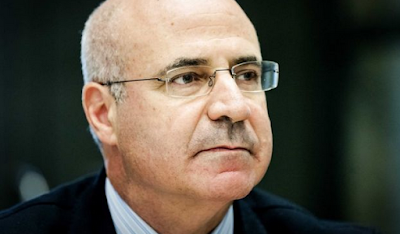 Mr Browder was sentenced to nine years in prison by a Russian court late last year, on fraud and tax evasion charges. Interpol had previously refused to enforce a warrant for him, deeming it "predominantly political in nature". But on Wednesday morning, Mr Browder tweeted that Spanish police had arrested him on a Russian Interpol arrest warrant. A police source, speaking to Reuters news agency, confirmed his release - but could not confirm the details surrounding the invalid warrant used. The US-born financier, who is a British citizen, tweeted during his detention - including a copy of an arrest document from the Spanish interior ministry, which said he was accused of fraud. He is widely credited with the creation of the Magnitsky Act - a 2012 range of sanctions from the United States on top Russian officials accused of corruption. The act was named after Mr Browder's former lawyer, Sergei Magnitsky, who uncovered an alleged tax fraud in Moscow - and died in a Russian prison in 2009. Since then, Mr Browder has campaigned for investigations into the alleged fraud. He was put on trial in absentia in 2013 for tax evasion - in the same trial where the deceased Magnitsky faced charges, which was labelled "absurd" by observers. Mr Browder was once one of the biggest foreign investors in Russia, controlling Hermitage Capital Management. Russian prosecutors accused him of creating a firm for tax fraud purposes. Mr Browder has always said that the charges against him are politically motivated. One British MP, Sir Peter Bottomley told the Press Association: "It is absurd that a person with British nationality who has been exposing the brutal and fatal treatment of Sergei Magnitsky should be arrested at the request of the Russians."